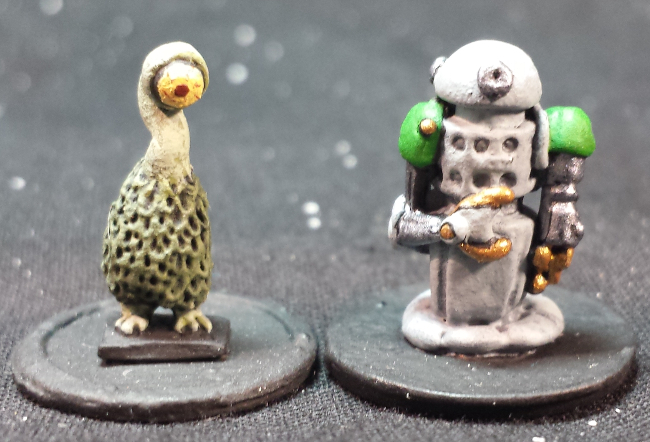 Finding a battlesuit to fit a creature as strange as Meatfoot Blargin, took all of my time and patience. And I will admit, I am not that pleased with this. 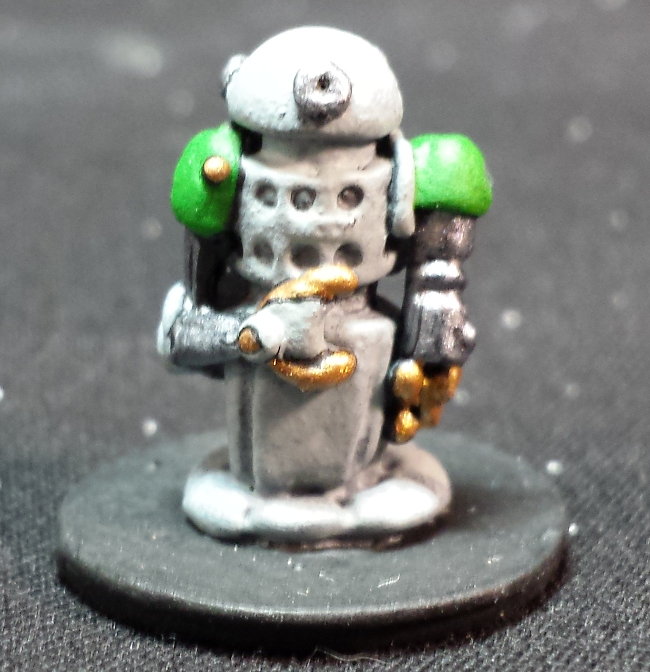 This miniature is a maintenance robot from 15mm Co. He also happens to be around the same size and slightly bulkier for Jeff's Traveller character in Interstellar Exports. So it is not perfect, but it will have to do. 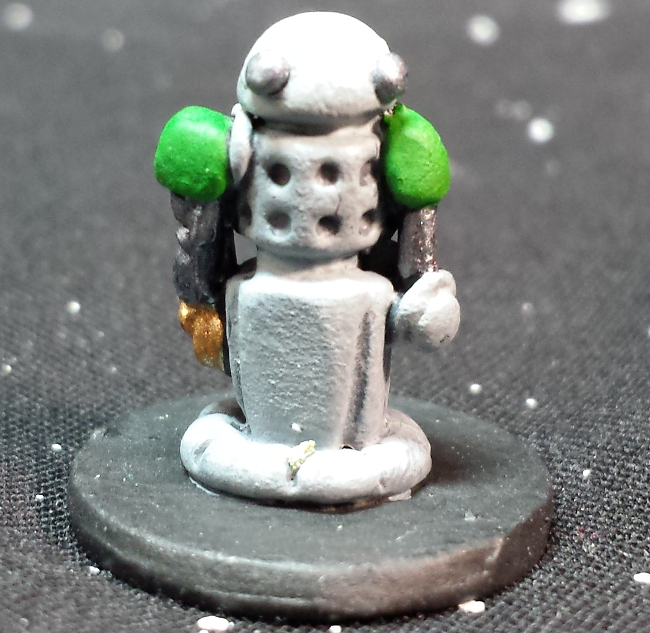 I figured the best I could find would be something dalek-esque and this guy fits the bill. 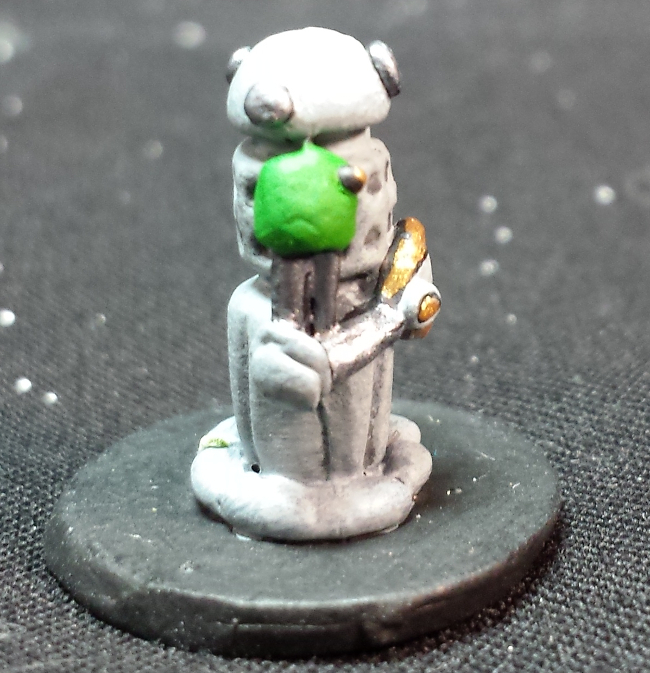 It may not be as intimidating as our other battlesuits, but given the nature of Meatfoot Blargin, I think any protection would help. This suit will provide the user with 12 Armour, a built in Lazer Rifle (5d6 dmg) and a Manipulator Claw that provides the user with +3 STR. I hope it keeps up with our other battlesuits and keeps Meatfoot safe in the dangerous games ahead!